Advertised prices exclude government fees and taxes, any finance charges, any dealer document processing charge, any electronic filing charge, any emission testing charge, and optional dealer installed anti-theft equipment. Financing with Nissan/NMAC may be required for certain applicable rebates to apply, if any. 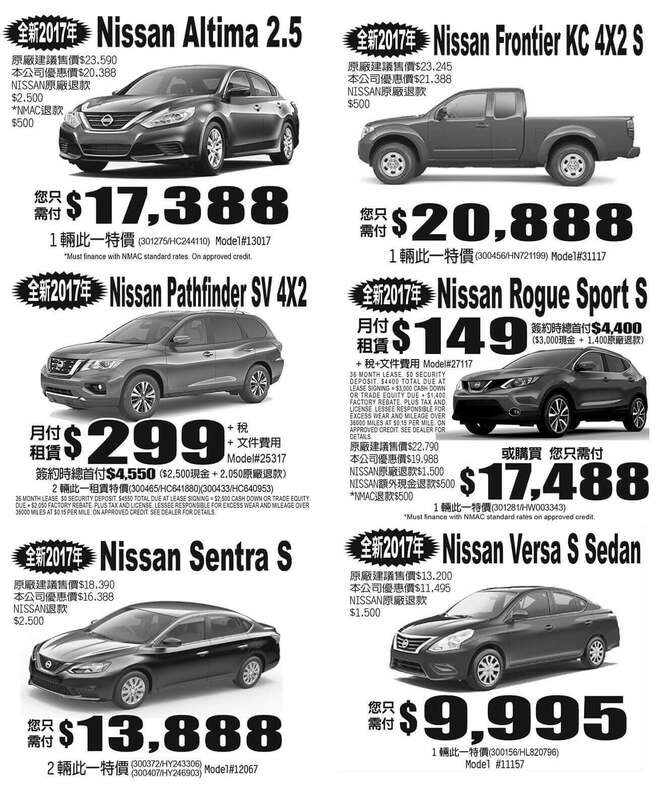 Security notice: All Ross Nissan of El Monte vehicles are temporarily equipped with anti-theft equipment while at the dealership for security reasons and are not included in the price, however this equipment can be purchased by the customer at an additional cost or disabled at the customer's option. Offers expire 12/04/17.